Konica Minolta Medical Imaging is set to introduce a new digital radiology solution, AeroDR LT, at the 2015 Annual Meeting of the Radiological Society of North America (RSNA) that will be held from 29 November to 4 December. AeroDR LT is said to offer radiologists with advanced capabilities of AeroDR XE in a lower weight version to deliver primary imaging at the point-of-care. The firm has developed AeroDR LT to maximize efficiencies by minimizing the effects of wear and tear, which come with alternative wireless flat panels. The lightweight and liquid resistant enclosure helps radiologists to be used at in-room and outside of the radiology department, such as at the patient’s bedside or in ER/trauma or intensive care/critical care units. 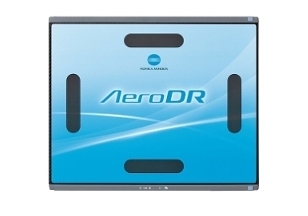 AeroDR LT, which weighs about 2.5kg, holds the capability to hold patients up to 300kg on a bed. It is compatible with AeroSync automatic exposure detection and roaming, and can be used with most fixed and portable X-ray devices. Radiologists can diagnose a patient with AeroDR LT to preview images within one second and deliver fully processed images within six seconds. Konica Minolta Medical Imaging digital radiography senior product manager Guillermo Sander said: "Konica Minolta’s next generation of digital radiography flat panel solutions, the AeroDR LT, is an ideal solution for radiologists, particularly those practicing in smaller facilities, who are considering upgrades to the medical equipment. "With this one investment, radiologists can digitally transform their imaging capabilities and data transfer needs, while making value-based decisions." In March this year, Konica Minolta and Shimadzu Medical Systems launched new MobileArt Evolution EFX AeroDR-I, an integrated portable X-ray solution. Image: Konica Minolta’s new AeroDR LT. Photo: courtesy of PRNewsFoto / Konica Minolta Medical Imaging.